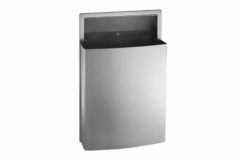 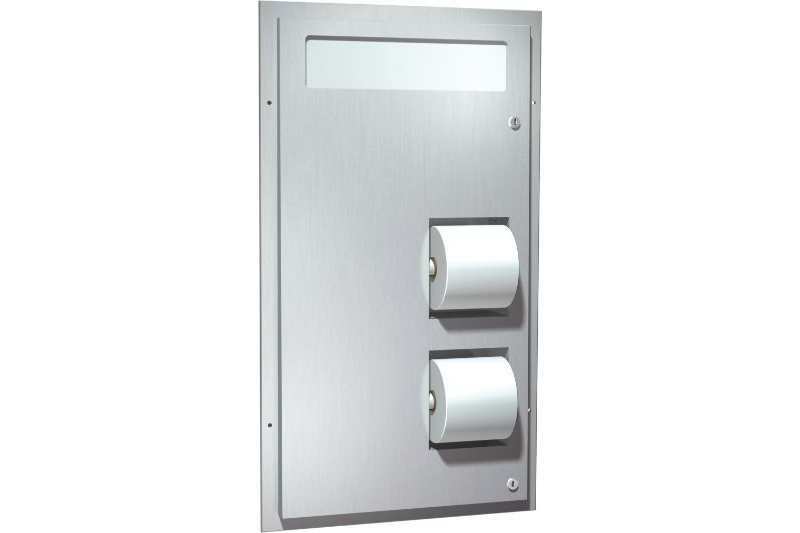 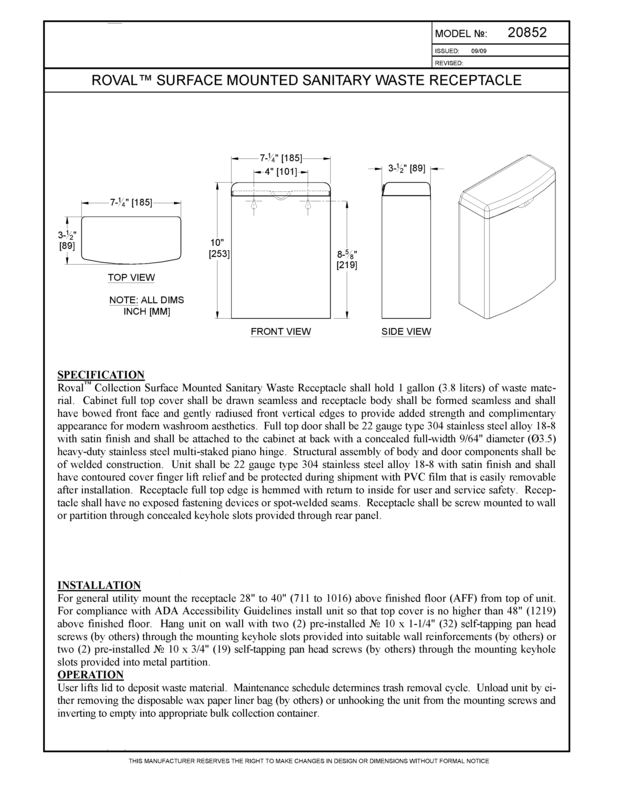 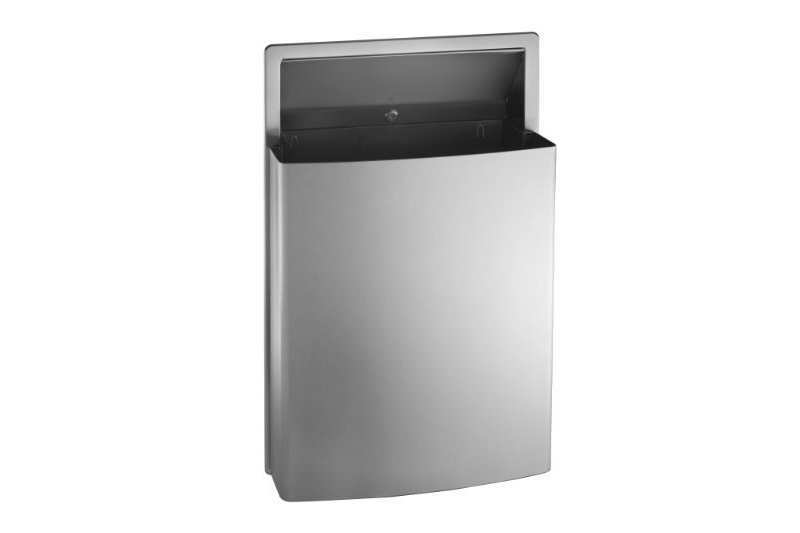 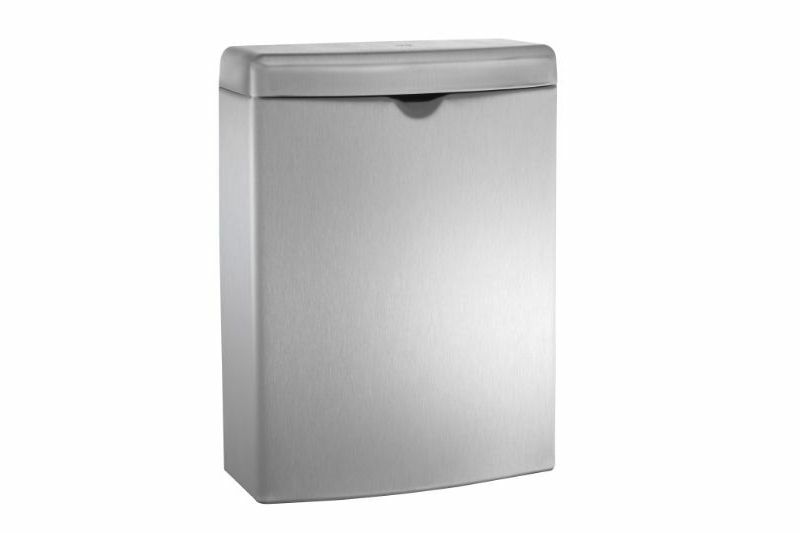 Roval™ Collection Surface Mounted Sanitary Waste Receptacle shall hold 1 gallon (3.8 liters) of waste material. 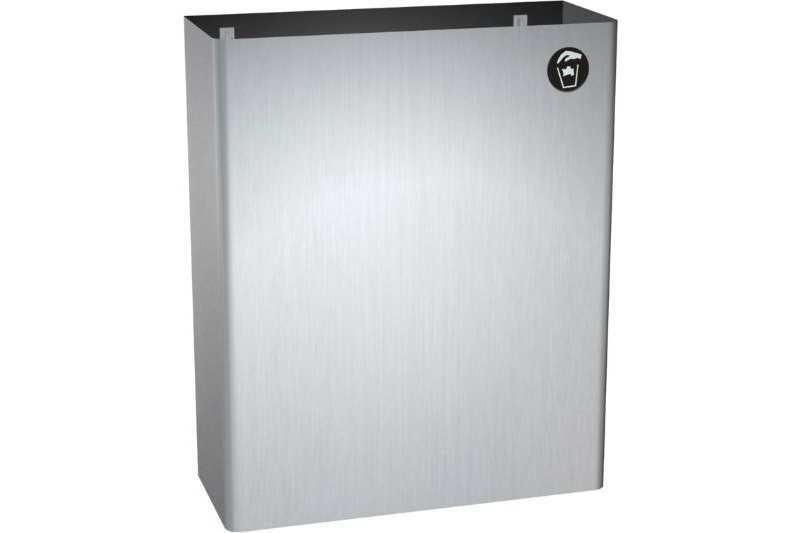 Cabinet full top cover shall be drawn seamless and receptacle body shall be formed seamless and shall have bowed front face and gently radiused front vertical edges to provide added strength and complimentary appearance for modern washroom aesthetics. 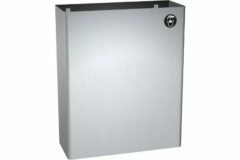 Full top door shall be 22 gauge type 304 stainless steel alloy 18-8 with satin finish and shall be attached to the cabinet at back with a concealed full-width 9/64″ diameter (Ø3.5) heavy-duty stainless steel multi-staked piano hinge. 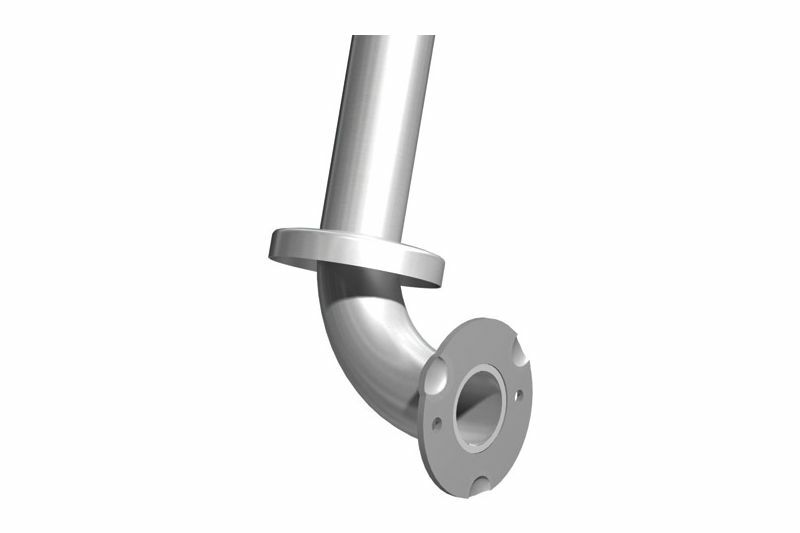 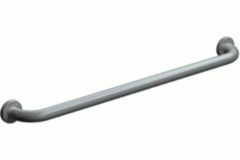 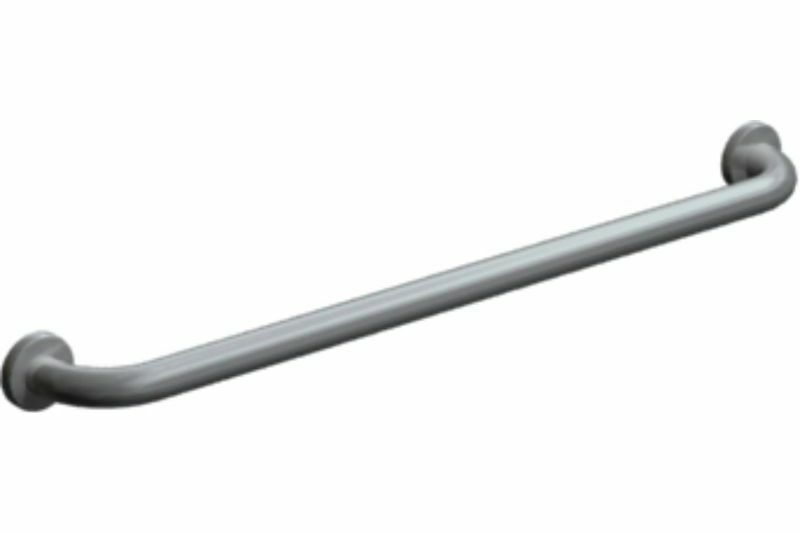 Unit shall be 22 gauge type 304 stainless steel alloy 18-8 with satin finish and shall have contoured cover finger lift relief and be protected during shipment with PVC film that is easily removable after installation. 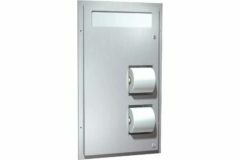 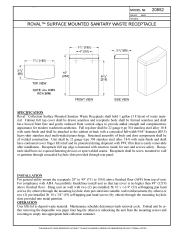 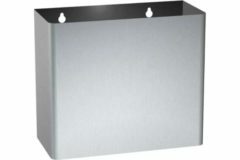 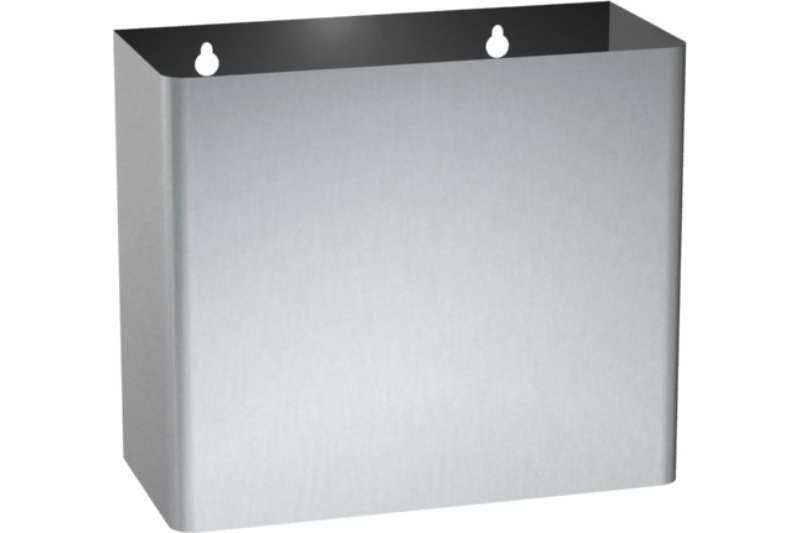 Receptacle full top edge is hemmed with return to inside for user and service safety. 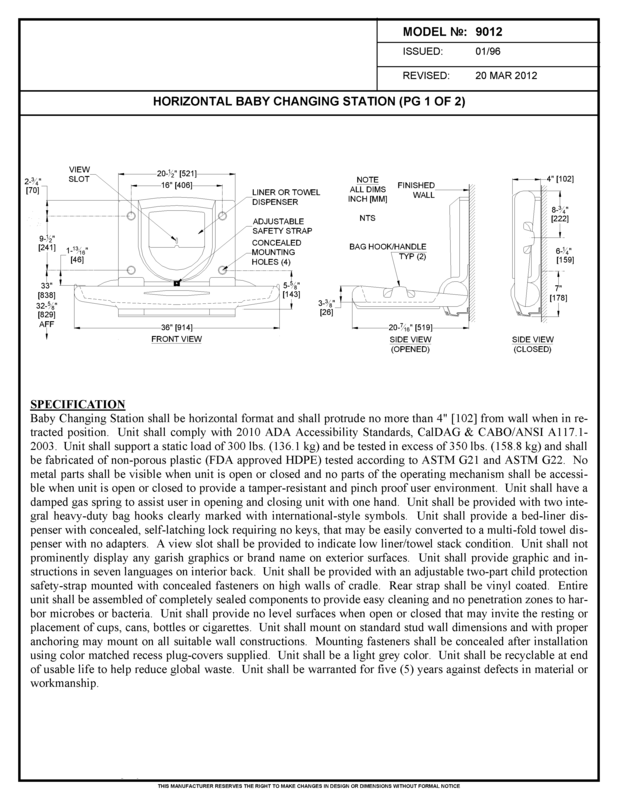 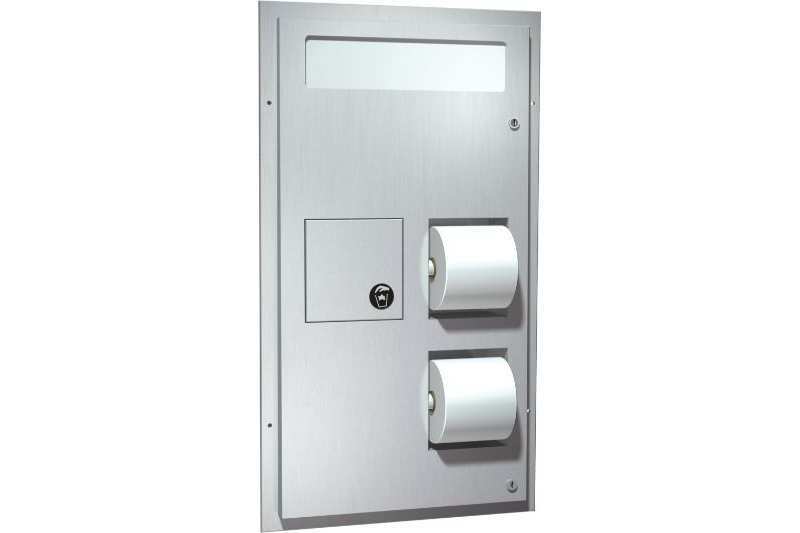 Receptacle shall have no exposed fastening devices or spot-welded seams. 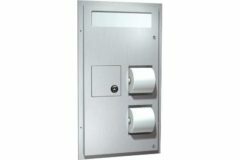 Receptacle shall be screw mounted to wall or partition through concealed keyhole slots provided through rear panel.